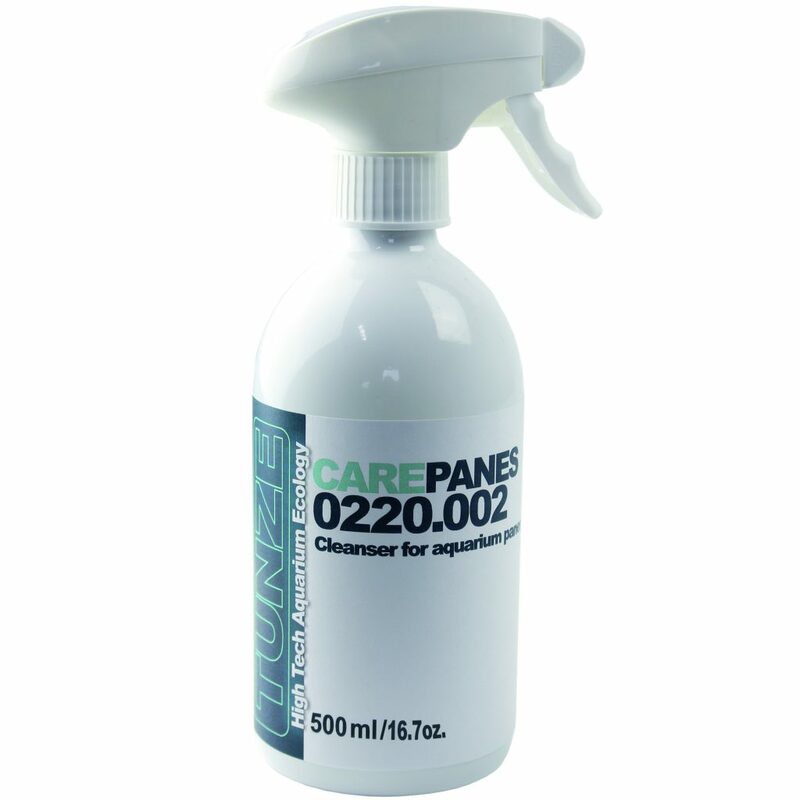 Care Panes effectively cleans the outer aquarium glass panes and all smooth surfaces made of glass, plexiglas, plastic, metal, painted wood, and many more. 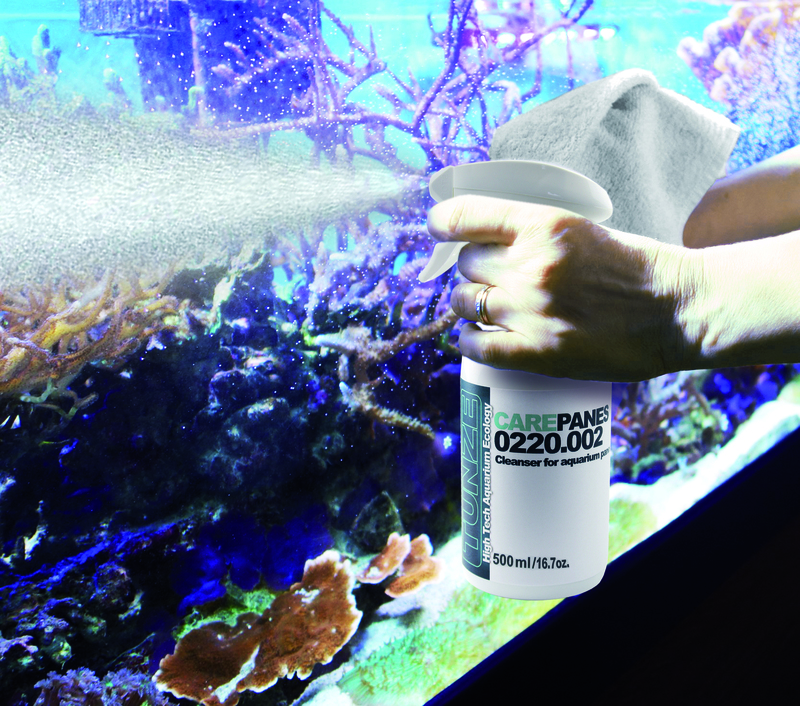 Care Panes consists of a combination of organic surfactants with an ethereal oil, and can be used to easily and effectively clean aquariums, aquarium cabinets, and lighting. Thanks to its gentle ingredients, Care Panes is safe for aquatic life and is already being used successfully in medical areas, public buildings, and schools. Even extremely small amounts of Care Panes provide optimal results. It is fast drying and doesn’t leave any traces. With 99.9% natural ingredients and a great yield, Care Panes reduces the environmental impact to a negligible minimum. Apply Care Panes to a microfiber cloth or directly onto the surface to be cleaned. Wipe over it briefly and quickly. Done. Care Panes contains extremely powerful organic surfactants, which are up to 500 times more effective than conventional chemical surfactants from the petrochemical industry. Care Panes doesn’t have a hazard labeling, is designed to minimize the risk of allergies, and is free of genetically modified ingredients. Since it can be applied in a targeted manner, the special spray foam reduces the aerosol development, thus avoiding any chance of Care Panes being inhaled or distributed uncontrollably across the aquarium. Care Panes is designed to be completely eco-friendly. Its active ingredients are made of renewable resources, and the packaging is made of 100% recyclable plastic without metal. Care Panes is available in a 500 ml (16.7 oz.) size. TUNZE Care Panes is available in a 500 ml spray bottle. I bought this, it does a better job than API but doesnt work as well as 91% isopropyl alcohol.